The Hayfamzone Blog . . . . . . . . . . by Brian Hayes: Aw Yeah News Flash! I've enjoyed the rush of reading the latest news about comic books for many decades now and today I can share a scoop with you! 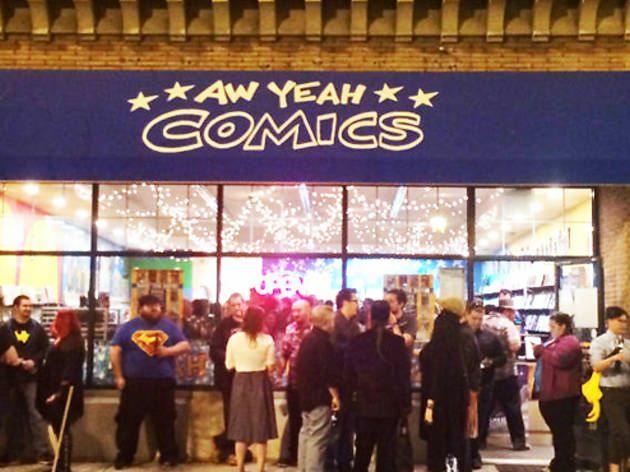 Aw Yeah Comics, the Skokie Illinois comic book shop owned by comics creators Art Baltazar and Franco among others, is moving two blocks from its current and original location! The new location is said to be larger and have better parking amenities, and the move to 7927 North Lincoln Avenue is scheduled for March 1. I have a subscription file with Aw Yeah and the store called all its subscribers today. The Hayfamzone Blog has been writing about Aw Yeah Comics since the store opened, and it is a treat for me to be able to share this tidbit of news before the public announcement tomorrow.